I was browsing the manual for my Tamiya Zero last night, and noticed they call up a mix of metallic blue and clear green. However, upon browsing the 'net for an accurate comparison of the colour I have found some are positively blue, yet other pictures appear very green? I also found a recommended mix of Tamiya clear green, yellow, orange and silver. I tried this mix on a piece of scrap, and this colour is also very green. Are there actually two different shades of Aotake? Should it be more blue or green? Next question... Is Tamiya XF-71 accurate for the interiors of the Zero and Raiden? Tamiya call up this colour, Hasegawa call up Mitsubishi interior green in the Raiden kit. I won't be starting these kits anytime soon... but they do look verrrrrrrrrrrrrrrrrrrrry nice!! Aotake, when new, has a very blue tint to it. As it is exposed to sunlight and the elements, it takes on more of a green color. I have seen photos of a single part where part of it which was covered from the elements has the blue tint, while the rest of it which was not protected has an apple green hue. My favorite way to replicate it is to spray an undercoat of silver, followed by light coats of Tamiya clear blue and clear green mixed to the color I like. If the airplane is fairly new, I use more blue and vice versa if it is aged a bit. Tamiya XF-71 is a good match for Mitsubishi built aircraft, though the Zeroes manufactured by Nakajima have more of a bamboo colored cockpit. May I ask what you mean by "Bamboo". My Tamiya A6M2B is Mitsubishi has XF-71 then? I notice Hasegawa also recommend RLM 82 for their 'pit? I have XF-71 and Lifecolour RLM 82. Which is closest for a fairly new aircraft? Aotake means bamboo in Japanese. If you're building a Mitsubishi built A6M2 then the correct color should be somewhere very close to FS34102. I have not recently seen XF-71 but from what I remember, it was not a good match for any Mitsubishi cockpit color. It was closer to the Nakajima cockpit color. I'll have a look at it in a bit and I'll repost. 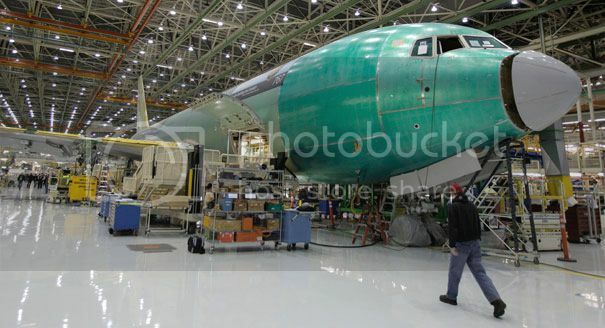 EDIT: I mistakenly posted FS34102 as the interior green color of Mitsubishi built aircraft. It should be FS 34089. However, Tamiya XF-71 is not appropriate for any Mitsubishi built aircraft of the time. Here is a photo I found (I don't remember exactly where) of aotake. Unfortunately when I downloaded the photo I neglected to make a note as to where I found it, etc. You MIGHT try a Google search too. There are numerous photos and posts (on LSP) and other sites concerning Aotake there. John, that color is in no way representative of any shade of Aotake. It's decidedly a shade of brown and more closely represents the external color of the early A6M's if it is indeed from a Japanese aicraft of the time in question. Aotake is translucent, meaning you can see the base metal underneath the protective finish. It is not a colorcoat but only a corrosion preventative. From Robert Mikesh, Japanese Aircraft Interiors, 1940-1945 page 15: The name "aotake", when translated directly from Japaese means "blue bamboo". However "ao" also means young or green so young bamboo or green bamboo may be more appropriate.... Encounters with aotake in protected areas such as under tightly riveted pieces of metal reveal a deep transparent blue. In areas where long exposure has occurred, aotake is much lighter and greener. When trying to match a color sample for the record almost every varriance in lighting produces a different shade and color. Aotake seems to vary with every sample examined. Even on a small piece of metal, sometimes many colors can be seen. They are also blended like oils on a canvas. Therefore, when simulating it for whatever purpose - if it looks right, it is right. Again, aotake is a transparent color and the silverish hue is due to the underlying bare metal and is not a component of the color itself. Here is a link to Greg Spingers evaluation of White Ensign's Colorcoats Imperial Japanese colors: http://www.j-aircraft.com/research/gregspringer/wem-review/wem-review.htm Within that article you will see what a good representation of aotake looks like. It is NOT the definitive end-all, be-all shade of aotake, it is just WEM's version of aotake. My personal favorite is Gunze Sangyo Aqueous H63, Metallic Blue-Green but there are several others. You can also do what at least one other person has suggested; paint the interior silver and then spray a mix of clear blue-clear green over it. That way you can vary the color to your liking. Here is a link to Greg Spingers evaluation of White Ensign's Colorcoats Imperial Japanese colors: http://www.j-aircraf.../wem-review.htm Within that article you will see what a good representation of aotake looks like. It is NOT the definitive end-all, be-all shade of aotake, it is just WEM's version of aotake. My personal favorite is Gunze Sangyo Aqueous H63, Metallic Blue-Green but there are several others. You can also do what at least one other person has suggested; paint the interior silver and then spray a mix of clear blue-clear green over it. That way you can vary the color to your liking. Thanks Tim. Good info for future reference especially as I am considering building my Tamiya A6M5. I've seen photos of restored zeros with the wheel wells and doors painted underside gray but I assume this is in error and they should be Aotake, correct? You've opened a Hornets nest there John!! I was reading somewhere on the net about the colours of wheel wells. Apparently the Zero's had Aotake but the Raiden had the underside colour?? Your knowledge is outstanding, you seem to answer many of my queries, thankyou very much. I've looked up 34089 but could not find a paint colour for it? Do you think RLM 82 is close enough? It's certainly slightly darker than XF-71. I realise all this conversation about FS, RLM vs XF... or Gunze H... Just look at RLM 66 and RLM 02 from Tamiya, Gunze, Xtracrylix and Life colour...They're all different!! I made my recommendation based upon what your mix would have given you and having read somewhere (I think it was Modelling the Zero in the osprey modelling series ) where a modeller had used a mix of those colours you mentioned. Thank you for putting me straight but as has now been said this is another one of those hornets nest!! see http://forum.largescaleplanes.com/index.php?showtopic=20804 post number 12 I think may stir it all up a bit more!! EDIT: Ah, damnit! The table doesn't format correctly in the editor. I've added "M" and "N" prefixes to each one to make it clear. I dont recall "Putting you straight", or indeed haven't tried to. I will get some of the Gunze H63 from Bob at the next show. In my last post I'm asking about the correct colour for the 'pit. It would appear that XF-71 is wrong. If any of you have a copy of the Monogram Publishers "Japanese Aircraft Interiors 1940-1945" by Robert Mikesh it has some very nice color shots of un-restored zero interiors. Glad I bought my copy a while back! I've seen photos of restored zeros with the wheel wells and doors painted underside gray but I assume this is in error and they should be Aotake, correct? As Kevin has posted, it is not an error and his "table" is an accurate although not exhaustive description of the differences between Mitsubishi and Nakajima A6M5 aircraft. I can't say this with definite authority but as far as I know, all single engine IJN fighters built by Mitsubishi had wheel wells and gear doors painted the same color as the underside of the aircraft; Nakajima aircraft had aotake in the wheel wells and insides of gear doors. There are other differences that apply to A6M2's that would not apply to A6M5's. Here's a link to Ryan Toews article on his examination of the Tamiya A6M5 http://www.j-aircraf...tamiya_a6m5.htm. While the article is older, it is still as valid today as it was when he wrote it. Also in this article, IIRC, you will find allusions to equipment/details found on early A6M aircraft that should/would not be found on the later A6M5 but don't quote me on that until you read his article. If it's not already clear, let me reiterate; aotake was not a primer but a translucent corrosion coating used primarily on the interior of the aircraft. You will not find any traces of aotake under the exterior paint on the wings, fuselage or empennage but you will find it inside those structures. PS: Ryan Toews indicates that the cockpit interior for Mitsubishi built aircraft is closer to FS34095 but Greg Spring likens it to FS34089 "but a little lighter" if I've quoted his words correctly. As you can see, there's a little difference between the two. However, I wouldn't get hung up on the exact shade...either will suffice but my preference would be for the latter of the two. You'll also notice that XF-71 is nowhere near either of the two colors. Again, these colors are only for Mitsubishi built A6M aircraft and most probably the J2M also.